Is it just us, or is Cass Records totally killing it lately? 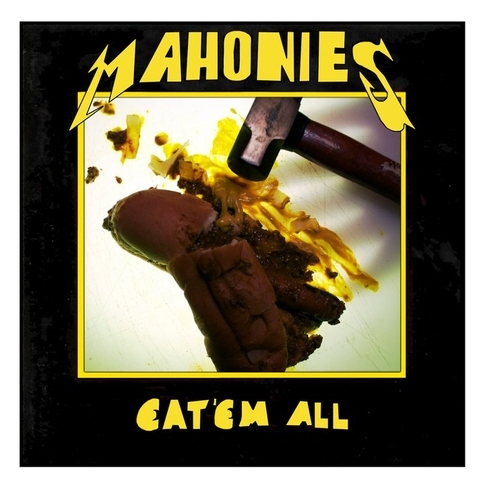 First that Cheap Time single and then the new D. Watusi single and now they’re hitting us with the official release of Mahonies’ Eat ‘Em All. Oh and we shouldn’t forget the most under appreciated record of the 2010 — Ben Blackwell’s solo effort. Anyways, Mahonies — everybody’s favorite two piece band from Detroit — have been selling CDs of their opus for the last while but now it’s finally getting a proper vinyl release. The 7″ will have all 10 songs on it and it’ll totally blow your mind [Yes, 10 songs on one 7″] No official release date just yet, but we’re thinking it’ll be available in the next week or so. Just keep checking the Cass site for it. We’re not sure if Mahonies have any plans to come back to Nashville soon, but we sure hope so.